Some Walleye have been taken North of the harbor in 40 to 60 foot of water areas using hot and tots, small spoons, and crawler harnesses. 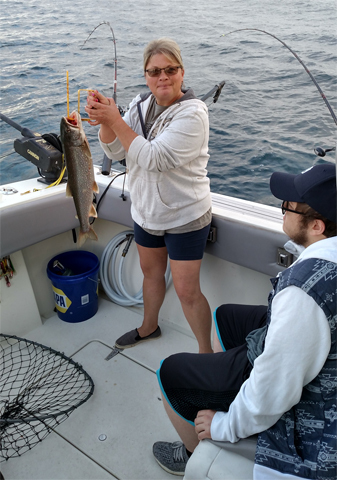 Lake Trout have been taken straight out and North of the harbor in 60 to 140 foot of water using clean spoons off the downriggers at mixed depths and with dodgers with spin and glows close to the bottom. A few Steelhead were taken in the same areas fishing closer to the top using the 2,4,7, and 10 colored lead lines with bright colored spoons. Bass continue to be taken in close to shore casting body baits and small spoons. 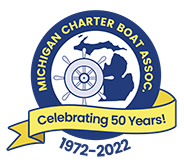 Michigan Charter Boat Association shared a photo. Michigan Charter Boat Association shared a post. Amish guy buying a charter! Something we don't see often in key West! AWESOME nice healthy fish . The cartels drop them at the border then they are on there own funny how The Democrat's don't talk about that.